One of our competitive skaters has been selected for OSSA’s new high performance program aimed at developing national caliber athletes. Congratulations to Emma on Tier 1 SETH selection! Registration Ongoing! 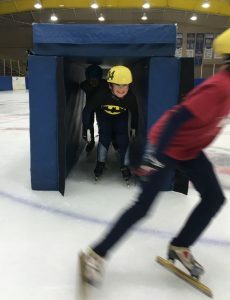 Learn to Skate and Learn to Speed Skate Programs! Learn-to-Skate program will run from 5:45-6:15 pm on Wednesdays at the Memorial Centre starting on Wednesday, October 12th and ending on Wednesday, December 14th. FUNdamentals Skills, Agility, Balance, Coordination, and Fun! New!!!! Learn to Speed Skate! For skaters ready to try more, and check out speed skating, introductory programs available at 1 hour a week. Are long blades suitable for kids? Absolutely! Skaters balance more easily on the longer blades, and get more glide from their pushes – making it more enjoyable to learn to skate as well as get their speed up quicker. Plus, we work on the skills that matter for any sport! Agility, Balance, Coordination, Speed! 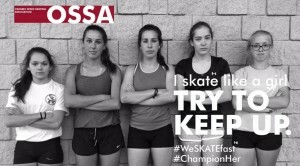 Speed Skating Programs – for all ages, give it a go with a trial of 4 sessions. Ask us how! Registration ongoing at the Memorial Center rink, Tue 6-8, and Wed 5-6 pm!